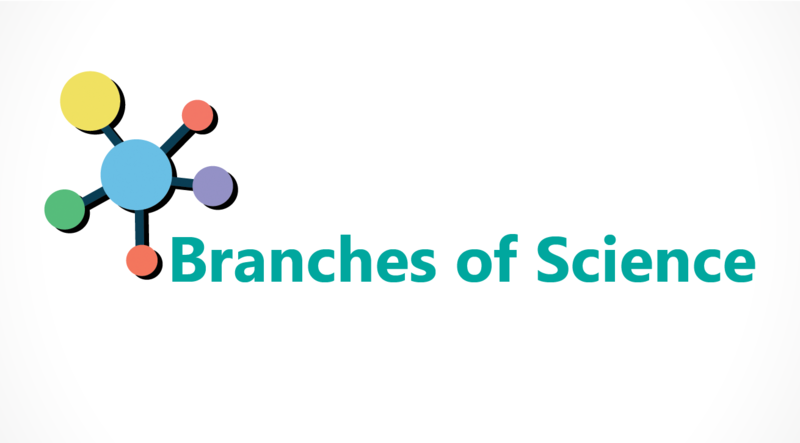 In this article you are going to know complete description about the branches of science. From your childhood you may probably hear many terms combining with the “science” word. So, sometimes you may thought about this study area as an uncategorized subject. But it is wrong. We can scientifically categorize this board study area for our learning purpose. After reading this article you can prove that no one can be an expert of these all of science subject areas. But don’t get a negative feeling. All off these sub subject areas combined with each other. That’s mean the basic knowledge of a one subject area is needed for all of other subjects areas’ applications. So your preferred area should be a diamond. Finally we’ll discuss more about this. What are The Natural Sciences? Each of these branch have sub braches according to the nature of the subject. And also there are overlapping science subjects. These subjects build with two sub branches of above main subject areas. The Formal Sciences act as a tools for both Natural and Social Sciences for build the applied science area. As I mention above all of this areas are bound with each other. If you are a student you may study about biology, Chemistry and Physics under the name of science subject. So, Sometime you may say these three subjects are the main branches of science. But these three study areas are only sub branches of the natural sciences. It’s true all of general people see the science through only these major three windows. But when we consider about the all of studies, it can be identify these major four categories. If you are going to talk about only about the chemistry, biology and physics. You have to divide these three gems under Life science and Physical science, sub branches of natural sciences. Next, let’s see about this main subject. Do you want to learn about the universe? Or the nature? Then, this is your major study area. Explain the various rules of the nature by using the scientific method known as the natural sciences. Scientists observe their environment and identify a specific problem or get a problem from the day to day that bonded with the nature. Then they are apply the scientific method to find the solution or explain the problem. The scientific method is the main procedure for do a standard research. The Physical Science is an important branch of science. If we consider all branches of Science the physical science can introduce as the platinum subject area. Becourse the knowledge of this subject area is a very important one for other all subjects’ areas also. Even social sciences. All science lovers know the value about these subjects. Actually the modern technical world totally depends on the explanation of the Physics. The transistors are invented through the theories of the physics. What the electricians are do, they combine this transistors with logics and make a useful application for the human. Like this we can explain the importance of these subjects. Let’s see the each of these subjects. The Science of matter, Chemistry. In organic chemistry chemists study about the carbon based matters and make affordable applications to the world. Other all matters on the earth study through the inorganic chemistry. The nuclear chemistry subject provides you the knowledge of the atom. Such as structure, energy changes and other all physical phenomenons combines with the atomic level. This main chemistry subjects also includes overlapping sub branches, for example the organometallic chemistry is the study area of the matters that made up of carbon and transition metals. The physics can be used to describe about the all non-living and living systems. It is able to describe how the system is place on the space, the motion of the system and other physical properties. There are two types of study area of physics. The classical physics and the quantum physics. The classical physics also known as the Newtonian Physics. Becourse it is based on the newton’s lows. After introducing the scientist mask plank’s quantum theory and contribution of the scientist Albert Instain’s knowledge the quantum physics start to develop as a subject. The study area of the nano level of matter is known as nanoscience. Nanoscience is study under both of chemistry and physics. The science of space, Space Science. It is don’t matter if you are don’t love to science word but. Even a child also like to know about the space. Specially planets, stars, black holes etc. the study about these thing known as astronomy. Under astronomy in briefly we can say its study about the visible space. The study area about the whole universe known as cosmology. Another interesting and endless subject area. The science of our living planet, Earth Science. There are lot of curious things in the earth to study. The study are about the lithosphere is known as the geology. And the study area of hydrosphere atmosphere and biosphere includes under the ecology subject area. I think all of physical things that we know can be include to one of above section discussed under the physical science. Also it is important to distinguish different between physics and physical science. Love plants? Then you are a Botanist. Study deeply about the kingdom of plant known as the Botany. The tool of the life science known as molecular biology. In molecular biology study about the molecular level of all living things. Likes biomolecules, metabolism pathways etc. The difference between natural science and formal science is, in formal science all theories are not going to prove with the real word like natural sciences. All theories in the formal science comes with the human imaginations. Let’s see the major areas of formal science. All of above sciences are need to be study under care and according to a system. For this the mathematics can be used as a tool. For study about the most of intelligent activities the Logic is used. There for this subject area is used for computer science as a tool. All scientific researches need the statistics as a tool for organize and analyze the data and results of the research. Subjects likes economics, philosophy study under the decisions. Want to study about law, History, relationship among human, languages like subjects? Then you have to collect knowledge under the social sciences. After development of the technology the study through the social science is getting easier due to social networks. All other three science branches study about the theory of the particular subjects. By knowing only about the theories of a particular subject it’s hard to have the benefits of that subject. Therefor the applied science area came in to the science subjects. In applied science it is study about how to theories of a subject apply for the humans’ applications. Such as making inexpensive fuels for energy requirements. Actually this is very important branch of science. Becorse, we want application from science rather than knowing the theories. All of industrial applications come with the applied sciences studies. Also all of science subjects have an applied science area for example, applied physics, applied mathematics, Applied Biology etc. When we consider the all of different science subject areas. It can be introduce new study area by combining two of these science subjects. look about following examples. The combination of Biology and Chemistry make a new study area known as the Biochemistry. The biology from natural sciences and statistics as a tool from formal sciences can be combined and then known as bio statistics. Study the life of outer the earth known as the astrobiology. Astronomy comes from space sciences and biology come from the natural sciences. Like this Human can make lot of studying areas by combining science subjects. The Board area of science can be categorized according to the following table with four main branches. Previous article Low Cost Custom Made Prostheses from Apatite.